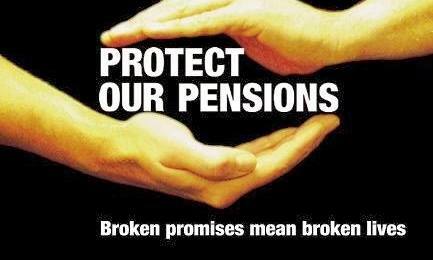 You may receive updates from Defend Our Pensions, the sponsor of this petition. Executive Director Thomas Nyhan plans to submit a "rescue plan" for the Central States Pension Fund that will propose deep cuts to the pensions of 400,000 Teamsters and their families. We need a second opinion. Prior to the submission of any such plan to the Secretary of Treasury and other oversight bodies, we call for an immediate independent review of the Central States Fund by independent actuaries and pension experts that evaluates other alternatives and possible changes that may indicate other options to any proposed cuts. This independent audit shall be paid for by the Central States Fund. The Central States Pension Fund is on course to slash the pensions of 400,000 Teamsters and their families in the Midwest and South. This pension cut plan is on a fast-track that allows for no amendments. We are calling for an independent review of the fund that evaluates possible alternatives. Independent actuarial experts could protect and watchdog for 400,000 workers and retirees by evaluating the fund and analyzing alternatives to the Fast Track pension cut plan. Workers, retirees and their families deserve a second opinion—an independent review by actuarial experts that evaluates alternatives to the drastic pension cuts the Fund plans to impose.